I saw these at the post office and decided they would be great for any wedding photography related business mail. From the USPS press release. 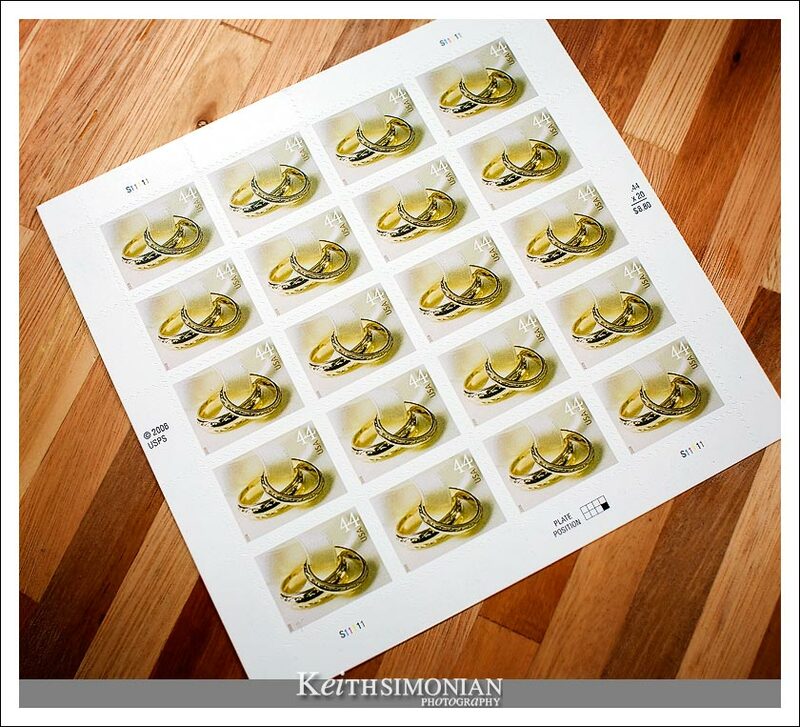 “The 2009 Wedding Rings one-ounce stamp featuring wedding rings is intended for use on the response envelope enclosed with a wedding invitation. The stamp depicts two rings resting on a small white pillow united by a slender ribbon of white silk.” The stamp was issued on May 1st, as was the Wedding cake stamp which is for two-ounce mailings. The two-ounce stamp is designed to accommodate the heavier weight of an invitation and reply envelope, while the one-ounce stamp is meant for the reply card.